Kwesi Sey is shy in conversation but confident in his craft: his production work on Speech Debelle’s second album Freedom of Speech won glowing praise, which is now shifting across onto his new four-track EP, Meantime. As anticipation builds for his debut album, due later this year on Warp Records, he has taken his band to SXSW and has shows coming up in Bristol and Poland. This Saturday, April 28th, he's set to take to the stage at London's Southbank Centre in collaboration with Micachu, to launch their second mixtape as Kwesachu. Softly-spoken and hesitant, the 24-year-old is now finding his own voice. It’s frank, surprising and soulful, used to create cotton-soft choruses capturing the brightness and ache of romance and relationships. The small wave of press which began in November, when he first unveiled the band, tended to start with the singer’s synaesthesia, which means he sees colours in response to music. We skip the topic in favour of chatting about the ideas underpinning Meantime. Opening track ‘Klee’ is a short passage with melodic motes and trace elements of the fifteen minutes which follow, a little vision allowing songs like ‘Bashful’ and ‘Honey’ to bloom. Although he says that being the singer still feels strange and that any live performance – even DJing – makes him jittery with nerves, Kwes is compelling onstage, wielding a white Fender bass like a matchlock musket. And it’s the bass that gives the game away. When he kneels down to the pedals, the sound of drums and synths swirling about him, and starts rattling the strings through a phaser, you see that prog-rock and pop have influenced him just as much as his electronic forebears. These are affirmative songs about feeling shy, upbeat songs about feeling downtrodden. 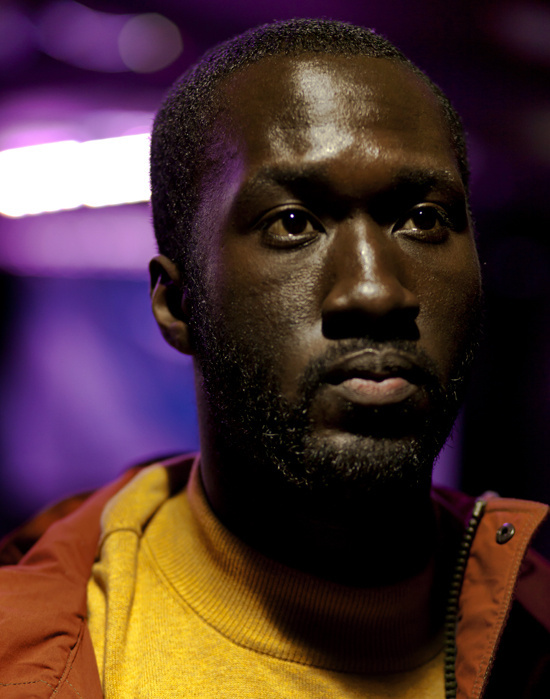 Through it all Kwes comes across as a humble young man with creative confidence and very big ambitions, although he’s unlikely to shout about either. The first song on the new EP is called 'Klee'. Is Paul Klee an artist you’re interested in? 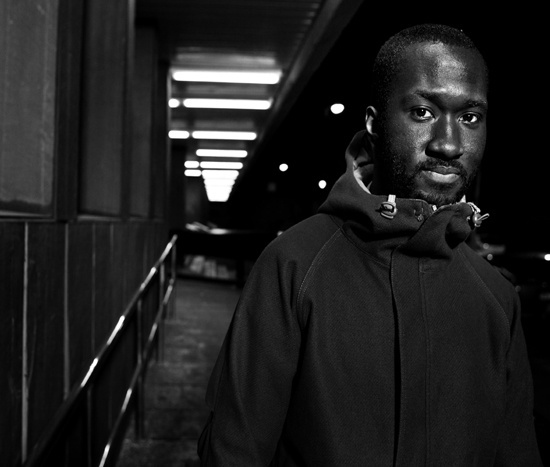 Kwes: He’s someone whose work had a profound effect on me when I was a lot younger. I don’t like talking about synaesthesia much – I’ve got the music to colour-form – but back then some of his work really affected me. I just find his work really emotional. Back then it was more on a superficial visual level, and it stayed with me. Since then I’ve read about him. On the first EP I opened with a track called ‘Hundertwasser’ [named after Austrian painter Friedensreich Hundertwasser]. So I thought I’d carry it on. Are there any other big figures from the history of visual art that you’re really interested in? K: There’s a guy named Marc Chagall, I like a lot of his work. I think he was Jewish, and a lot of his work had religious connotations. I love the softness. The touch he had in a lot of his paintings was very deft and very well-realised. His subject matter is normally quite religious; angels, very pastoral, lots of farm animals. Love that stuff. Are you particularly spiritual person yourself? K: Yeah, definitely, yeah. I feel a lot of… I don’t know, I’ve just had this non-stop kind of relentless optimism - like I’ve felt like this is what I’ve always wanted to do. I knew I was going to get to this point. But another thing is that I’m not afraid of failing, I’m not afraid of making mistakes. I feel you have to experience those in order to experience the peaks. Life is of peaks and troughs, and you’ve just got to enjoy the ride really. The four songs on Meantime are incredibly optimistic. Perhaps you’ve already answered this question – is the music representative of your personality and outlook, or do you have the tendency to feel blue? Do you need to make an incredible effort to make positive songs? K: Yeah – representative [laughs]. I think it’s weird because two or three of these songs I wrote maybe three, four years ago on an old computer which broke. I lost everything. I came across them, I had all the lyrics written down on pieces of paper and chord progressions so I started rebuilding the songs. So I guess an indirect answer to your question is that I think I am an optimistic person. However melancholic my music can sound at times, the subject matter always hints at some kind of optimism. ‘Broke’ is one of my later songs which will probably be on the album. That’s quite a desolate song actually. I think in general with anything I write, I just try to bare my soul. This is the only way I feel I can express myself. Music. I try not to think about styles, I just try to think about what I’m saying, I just try to express what I feel. All my favourite musicians, they’re all ‘feel’ musicians. It’s all coming from a very honest place. All my favourite artists like Robert Wyatt, Todd Rundgren, Curtis Mayfield. Even Throbbing Gristle. I feel their music is coming from an honest place. I’m a massive fan of what they do. The songs on Meantime have been in gestation for quite a while. How much history has gathered behind what is a pretty compact release? K: I guess with this Meantime EP I wanted to get quite a bit off my chest. Just relationship issues and stuff, unrequited love. ‘Bashful’ is about that. ‘Honey’, to a degree is about that, but when I revisited the song I was listening to a lot of Brian Wilson. He did a song called ‘Vegetables’ and I used that as the inspiration. ‘Honey’ is me literally writing from the perspective of a cabbage. K: "I’m inanimately perched on the counter, but my mind always wanders." Inanimately perched, people just bought me from a shop and put me on the counter, but my mind always wanders. "I’m glaring at your glow all day and night." I’m looking up to the cupboard and the jar of honey. I’ve got a little picture here, to illustrate the point to people. It’s really silly, but… [shows BlackBerry picture of a cabbage looking up to a jar of honey on the shelf]. There’s the cabbage. The jar of honey is almost finished. Paul Klee was an exceptional musician at a very young age but he defected to the visual arts. Is that something you’ve considered, a bit like DELS, who does graphic design and videos? K: I used to paint almost as much as I made music. I recently got really busy on the production side of things, producing other bands and artists, so I just haven’t had the time. I really want to work on canvases rather than in sketchbooks, and I just don’t have the space to do that. But once I do, once I have a lot more space at my disposal I’ll really get back into the painting. Regardless of that I’m going to do some painting for the album sleeve. It’ll come out on CD, vinyl, lyrics booklet, everything. One of the things that must have kept you quite busy was the Speech Debelle album. How was that, producing? K: I was working on that around this time last year. It was a lot of hard work but I wouldn’t change that experience for the world. I had a really brilliant time working on it, as difficult as it was. I learned so much about myself and about my craft. I’m really glad Big Dada and Speech herself got me involved in the project. ‘Sun Dog’, the final track, is a highlight. There’s a string quartet and they played some parts that I wrote, which is always really nice. I’ve done that once before, but it’s just nice whenever that happens. You’re currently with a great label with a history of innovative records and releases. How do you feel about some of the more aggressive or radical artists that helped to establish Warp Records, like Autechre or Aphex Twin? K: They’re totally amazing. I listened to all those growing up and in secondary school. I still do, but I used to marvel over those artists and Warp was definitely one of those meccas. There are the really popular tracks: Aphex Twin’s ‘Windowlicker’, with the video. Mindblowing at the time – still is mindblowing. There’s an early [Warp] release called 'Tricky Disco', I think it was before the tenth release, really early. I’ve got the vinyl at home and still listen to it. It’s a really mad record. It sounds very ‘now’ even though it was released more than twenty years ago. I think Warp are always going to be like that – timeless, in terms of electronic music and where it began. But I was listening to all sorts of stuff in secondary school. Frank Zappa as well. I was really into the Neptunes. I got into Shuggie Otis around that time, just before I went to university. If you had the opportunity to be educated from the ground up, by world-class teacher, in any one discipline, what would it be? K: One discipline? That’s a tough one. That’s a really hard one, because it’s such a privilege. I didn’t go through any formal training for what I do, so… that’s a really difficult question. I studied philosophy at university. I really did enjoy it, but so much music work was coming up that it was one or the other. For Paul Klee the first challenge was the art of living, which is one of the questions addressed by all the big philosophers. What are the components of the good life? K: I guess… you’ve got Maslow’s theory, the triangle and the hierarchy of needs. You’ve got the physiological needs at the bottom: food, water. At the top there’s self-actualisation, which is kind of the equivalent of nirvana. But my ideal day? Having a good sleep. I don’t get much of that. So you wake up… Then have something to eat.